Speaking at the Unpacked press conference at Mobile World Congress in Barcelona, Samsung mobile chief D.J. Koh has admitted that the company’s obsession with being first has turned out to be meaningless, which is why Samsung is going to stop pumping out new features just to be first, The Korea Herald is reporting (via iDB). Mr. Koh added that even though Samsung has a long history of firsts in the mobile industry, being first is no longer important. Instead, the South Korean company will now be offering more refined experiences in its future smartphones, tablets and other devices. “We developed mobile phones earlier than China and were obsessed with being the world’s first and industry’s first rather than thinking about how this innovation would be meaningful to consumers. Being the first turns out to be meaningless today. Our strategy is to launch something that consumers believe is meaningful and valuable at the right time. 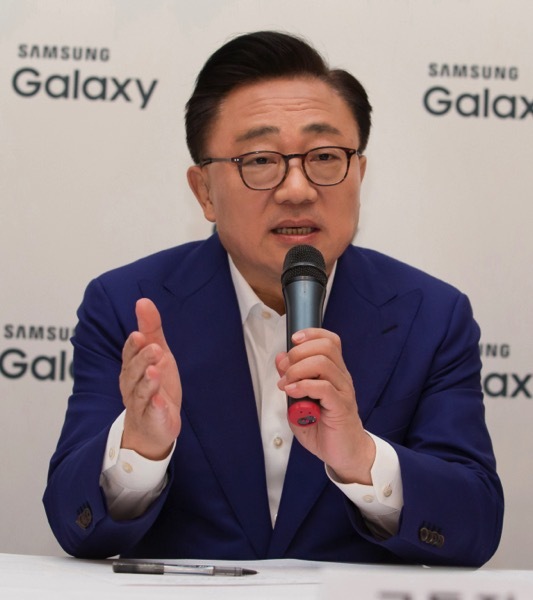 He also answered questions about the company’s roadmap for innovation in hardware, sharing company’s plans to showcase Bixby 2.0 updates through the upcoming Galaxy Note 9. He said that a Bixby-powered smart speaker in partnership with Harman is also coming in the second half of 2018. Koh noted that Samsung is also planning to have a 5G-capable smartphone ready in time for the expected 5G commercialization in 2019, and is already developing 5G core network equipment and chipsets in partnership with Korea’s SK Telecom.